The ongoing question in the field of speech pathology is whether or not Oral Motor Therapy is evidenced based. Evidenced Based Practice (EBP) according to the American Speech and Hearing Association is “the integration of best research evidence with clinical expertise and patient values” (ASHA, 2005). There is a misconception that EBP is limited to double-blind studies when in fact EBP is very centered on valuing feedback from the individual receiving treatment, and the clinical data collected in therapy. Not every method in the field of speech pathology has a large sampled, double blind study. For example, there is no proof that mirror aides in articulation therapy, but many therapist and patients report the value of mirror use when learning to imitate speech sounds. In addition no one study can prove, that another study is not valuable. No one study has proven that oral-motor, OPT or Myofunctional therapy is an invalid or unethical therapy method. Another problem is that Oral Motor Therapy is a very general term that leads to confusion. Pre-feeding exercises, non-speech oral motor exercises, myofunctional therapy, strengthening exercises, swallowing exercises, oral imitation tasks and the use of oral speech tools were all being associated with the term Oral Motor Therapy. Though many therapists and parents see the clinical success of these therapies, there is still controversy in the field about the efficacy of these therapies. This is why in 2010 Diane Bahr and Sara Rosenfeld-Johnson wrote a landmark article in Communications Quarterly, outlining the difference between non-speech oral motor exercises (NSOME) and OPT. The major difference noted, was that NSOME are movements which are not related to speech sounds, while OPT therapy only includes speech-like movements (Bahr & Rosenfeld-Johnson, 2010). OPT follows the principles of Van Riper’s Phonetic Placement Therapy (PPT), and uses tactile cueing to help individuals who cannot respond to visual-verbal treatment cues (Marshalla,2008). The use of therapy tools in speech pathology is certainly not new according to Pam Marshalla (2012) , and therapists admit that even after hearing that oral-motor exercises may not have research to support their use, they still use them in practice (Bahr , 2011). Over thirty-five years ago, The International Association of Orofacial Myology (IAOM) was formed, and has addressed the need for regulated educational opportunities and standardized college level credentialing of therapists to treat OMD (Snow, 2015). Experts in myofunctional therapy understand the connection between the airway, dentition, and tongue posture, swallowing and speech clarity. The Myofunctional Clinic of Bellevue has compiled an excellent list of EBP to support the use of myofunctional therapy with a variety of individuals (Bellevue, 2015). Gommerman & Hodge produced a study analyzing the effectiveness of myofunctional therapy and sibilant production and found that articulation therapy was achievable in only four therapy sessions after a tongue-thrust disorder was remediated in myofunctional therapy (Gmmerman & Hodge, 1995). Oral-motor therapy has never been debated in cases of oral phase dysphagia or for tongue-thrust disorders; therefore it seems questionable while some experts in the field continuously debate the ethics and efficacy of these practices, especially in the Down syndrome populations, where we can predict issues with OMD. 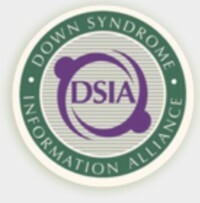 For example, Caroline Bowen has a publication on her website indicating that NSOME are unnecessary for children with Down syndrome (Bowen, 2015). The rationale is that to gain speech, speech must be worked on. There is some misconception that speech-language pathologists (SLPs) who work on OMD issues, are not working on speech, and this is not the case (Merkel-Walsh & Bahr, 2014). When a baby is born with Down syndrome, there are some factors we assume to be true about craniofacial development, feeding and swallowing. In 1997, Sara Rosenfeld-Johnson identified the myths of Down syndrome. This included: a high narrow palatal vault, (Myth #1), tongue protrusion (#2), mild to moderate conductive hearing loss (#3), chronic upper respiratory infections (#4), mouth breathing (#5), habitual open mouth posture (#6), and finally, the impression that the child’s tongue is too big for its mouth (#7) (Rosenfeld-Johnson S. , The Oral-Motor Myths of Down Syndrome, 1997) . The reason Sara referred to these issues as myths, is because clinical evidence suggests that these issues can be prevented and /or improved by therapeutic intervention. For example Sara Rosenfeld-Johnson presented case studies at the American Speech and Hearing Association annual convention, highlighting improvements in an adult patient with Down Syndrome with one month of OPT ( (Rosenfeld-Johnson 2014). Despite the myths, clinicians are often faced with a variety of oraofacial myofunctional challenges when treating individuals with Down syndrome. This includes but is not limited to: poor speech intelligibility, tongue thrusting, bruxing / teeth grinding, oral-phase feeding deficits and inappropriate oral habits (Bahr , 2001). It is important to treat these issues in conjunction with language-based speech therapy. Pre-feeding/ Oral Sensory-Motor Therapy: These are exercises introduced to improve jaw, lip, and tongue movements as a prerequiste for safe, effective nutritive feedings. A pre-feeding plan is always one step ahead of a feeding plan. For example, if the goal is spoon feeding, the infant is receiving the primary source of nutrion from the breast and /or bottle, while the therapist works on the sensory-motor skills needed for spoon feeding (Overland & Merkel-Walsh, 2013). It is important to understand the oral-motor developmental hierarchy and age related normative data when designing a pre-feeding treatment plan. Feeding Therapy : Therapuetic feeding may focus on the oral phase of feeding, and/or the pharyngeal phase of feeding. Feeding therapy involves manipulation of the placement of food in th emouth, designing the tastes, temperatures and tastes to work with, and is always considerate of safety. Feeding therapy often involves the choices of therapuetic feeding equiptment , including adaptive seating, as well as therapuetic spoons, cups, forks, and straws (Overland & Merkel-Walsh, 2013). Teeth grinding Therapist uses appropriate biting activities, chewing, appropriate mouthing activities, and massage techniques (Bahr, 2001). Therapist implements a gum chewing program to facilitate an appropriate replacement for teeth grinding (Rosenfeld-Johnson, 2009). Interdental lisp Therapist implements activities to superimpose lip closure with tongue retraction in order to improve strength and dissociation of the musculature, such as therapeutic horn and bubble blowing (Rosenfeld-Johnson, 2009; Merkel, 2002). The tools will be faded when the oral placement skill is achieved and the individual can produce the target sound without the use of the tactile cue/tool. Individuals with Down syndrome may present with orofacial myofunctional challenges. While some therapists argue that non-speech oral motor exercises are not appropriate for these individuals, experts in tactile therapies have worked diligently to differentiate NSOME from OPT. There is Evidenced Based Practice is not limited to double blind studies and includes client feedback and therapeutic outcomes. Experts in OMD have provided evidence over the years to support the use of tactile therapies, and the relationship between swallowing and speech. Practicing clinicians are providing more case studies in the research base and most importantly, individuals who have engaged in OPT have positive reports of progress. There is no doubt that more studies need to be performed, and experts in OPT are hopeful to have more support from universities to perform larger group studies.